Charging ahead of the rest. 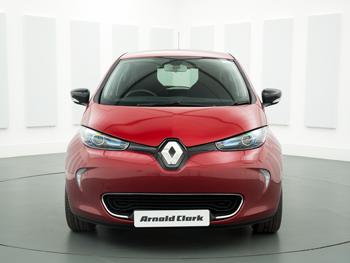 The new Renault ZOE represents the next generation of electric car design. 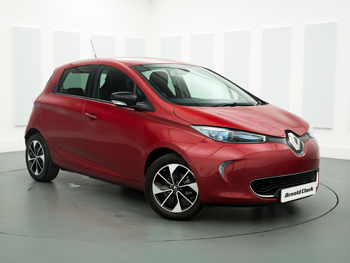 This electrifying supermini now has an extended driving range of up to 250 miles on one single charge, with real life estimates of up to 186 miles in summer and 124 miles in winter. So wherever – and whenever– you’re going, it takes you further than ever before. With their new Z.E 40 battery, Renault has broken the mould. As battery lease is just £59 a month, it won’t break the bank, either. Thanks to Renault’s Wall-Box, included free, you can fully charge the ZOE at home overnight from just £3. Or you can use public charge points all over the UK. The Renault ZOE offers all the performance and comfort you would expect from Renault, with zero CO2 emissions and no engine noise. Capable of 0-60 in 8.2 seconds, the ZOE handles city driving with verve, and with a top speed of 84 mph, it also has the range and power to deal with the open road. With its compact, supermini curves, panoramic glass roof and fresh white detailing, the ZOE is as easy on the eye as it is on the environment. Renault’s intuitive R-LINK touchscreen keeps you in the loop with Bluetooth, sat nav and entertainment, while the added ‘My Z.E. Connect’ pack allows you to check your battery status and find your nearest charging point. With every ZOE, you’ll receive Renault’s 4-year 100,000 miles warranty, so you’ll be able to hit the road knowing everything is covered. From battery leasing to charging points, find out more about electric cars here.